This will be the westerly view from the upstairs deck. Great Hill Country sunset views await. Art and I are pleased to announce the start of our model home in Boot Ranch golf community in Fredericksburg. We hired Campbell Brown Construction to build a casita for my father-in-law who moved from Arizona. The challenge was to add the new house next to our existing home and match the architecture. They did a wonderful job and it was a great experience. My father-in-law really loves his house and couldn’t be happier! I contracted Campbell Brown Construction to build my father a barn for his retirement present. Having no knowledge of barns (I only had a description of what my father said he would like to have one day), Craig Campbell looked at the description I gave him and gave what proved to be expert advice for constructing the barn based on the location. Since the barn was a surprise gift, Craig and Art obtained all permits (my mother was in on the surprise). They began construction on time after my parents left for a long trip. Craig and Art tended to every detail. They were easy to communicate with during the entire process. They gave detailed updates about the construction. Since I live in Tennessee and construction began with my parents away, I must say I was very impressed with the care that was given to my parents’ property. Their crews were very trustworthy and did excellent work. Craig and Art were on time and exactly on budget. I did make some slight modifications during construction and they were very happy to make the aesthetic changes. The barn was by all accounts (my father’s and every visitor to his home) very well constructed. No corners were cut. The materials promised were the materials used. The barn matched the style of the house exactly. I definitely recommend Craig and Art from Campbell Brown Construction enthusiastically and without the slightest reservation. They were honest, trustworthy, punctual, easy to talk to, professional, respectful, and, oh yeah, they built a tremendous barn for my father. After barely surviving 2 horrendous custom home building experiences in the past 18 years we’ve learned that every custom build will come with its share of issues, it is up to the builder to make the difference and prevent these issues from becoming problems. Art and Craig at Campbell Brown Construction did just that. They made our third time a charm and far exceeded our expectations in every way. The final product and experience was nothing short of spectacular. Professional, experienced, Campbell Brown produces results of the highest quality. Their Subs are also of superior quality, providing all the little extras that the best offer. In every phase of our project, everything committed to was done on time and within on budget. Campbell-Brown has our highest recommendation. Campbell Brown was hired to build our new home and did a fantastic job. I would highly recommend Craig Campbell and Art Brown. Both Craig and Art worked hard to give us the home we would be proud of, and they exceeded our expectations. Attention to detail and sticking to a schedule were both important to us. Not only did they deliver the house ahead of schedule, they maintained the quality we had hoped for. “Outanding” is a word I have used often when asked about our homebuilder Campbell Brown. 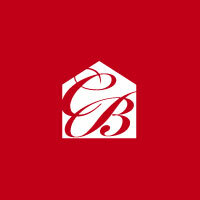 If I were building a new home I would not hesitate to hire Campbell Brown Construction. They completed a remodel job for us, they designed and built an outdoor entertainment area, complete with a fabulous fireplace, new deck, and other stucco wall additions. Art and Craig were great to work with, they did all they could to deliver the highest quality job, always keeping budget in mind. I cannot say enough about this company, they are honest, trustworthy and completely knowledgable about every aspect of the building process. I have never had a house that is so energy efficient or so well constructed. Our experience with Campbell Brown Construction could not have been any better. Craig, Art, and Kari were all very professional and helpful throughout. Communication was great – they quickly responded to any questions, problems, or modifications. The work was completed on time and on budget. They were able to easily adjust the architectural drawings to our specifications and changes. They assisted us with the interior design and also found contractors for landscaping and fencing. We were very impressed with Campbell Brown Construction’s subcontractors, who did excellent work. There was always someone there working whenever we visited the building site. We love the finished house and we highly recommend Campbell Brown Construction! Thanks! We just moved into our home built by Campbell Brown Construction and we couldn’t be more pleased with the finished product. This is our third home to build and this experience exceeded our expectations in every way. The attention to detail and customer satisfaction was always considered and was impeccable. Craig and Art both are a pleasure to work with and their knowledge and professionalism is unsurpassed. The construction process was 5 months from start to move in and there was no compromise on the finished product. We have recommended them several times already and will continue to do so at every opportunity. We just wanted to thank you for all of your hard work, persistence and patience in building our home. We were fortunate enough to be referred to Campbell Brown & what a fabulous experience it was! Their attention to detail and their ability to build a great rapport with their customers is to be commended. If you’re looking for the best darn builder around give them a call – you won’t be disappointed! Simply the best!